If you’ve been writing long enough, you’ve heard more than your fair share of advice. If you haven’t been writing long or don’t believe me, open your Pinterest or Twitter app, and search writing. You’ll be inundated with advice and pearls of wisdom on how to outline a book, finish a book, and sell a book. One of my favorite motivational nuggets is: writing isn’t a sprint, it’s a marathon. The truth is, sometimes the race to publication feels way longer than a 26.2-mile endurance run. Sometimes it feels like a barefooted-uphill-battle in the jungle. But there’s light at the end of the tunnel, the end of the race, and at the top of the hill. The good news is that each of us can finish what we start, whether it’s a physical challenge or a writing challenge, if we just keep putting one word, one goal, one foot in front of the other. And there are a few things we can do to make life a little easier no matter where we start. First, we can set goals. We can choose whatever we like, but we must set them, write them down, and tell someone else about them so that we’re accountable to someone. Several years ago, my goals included entering contests that required longer and longer entries until I had a substantial chunk of a manuscript. Then my goal was to finish a manuscript and enter the Romance Writers of America Golden Heart Contest, which leads me to the second thing that helped me accomplish my ultimate goal—publication. Finding a tribe of like-minded writers is invaluable. I found my people at Georgia Romance Writers. 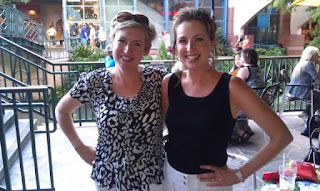 I found my critique partner at my first GRW Moonlight and Magnolia Conference, and I started learning about the business of writing which is almost as important as the craft of writing. Remember how I wanted to enter the Golden Heart Contest? Well, I did enter, partially because it was a goal that I had written down and worked toward in increments and partially because I’m really stubborn and determined. I finaled and won the young adult category in 2014 with the manuscript that would become my first published novel, The Thing with Feathers. I finaled again in 2016 with a manuscript that hasn’t sold yet—The Other Cheek. The greatest prize that came out of those contests was the lasting relationships I’ve built with my Dreamweaver and Mermaid sisters. Finally, we have to challenge ourselves to take risks. We have to take classes that push us out of our comfort zone, and we have to open ourselves up to rejection from all over the place—contest judges, potential agents and editors, readers, even our own well-meaning critique partners. Some of us may start strong out of the gate, writing thousands of words in one sitting. Some of us might experience a runner’s high when we hit the 13.1-mile midpoint of our current manuscript and fall in love with our heroine or sell our first manuscript. A few of us will even sprint to the finish, arms up, smiling for the cameras and writing the closing-scene-to-end-all-closing-scenes. A few of us might even support ourselves as full-time writers. But when our calves scream, the words don’t come, and the rejection letters pile up, we must remember to run our own races and more importantly to support each other along the way. We can’t be sucked into the muddy quagmire of competition. There is no competition in the creative or the spiritual realm. In fact, it’s been my personal experience that when I help other writers, the universe repays me forty-fold, and this is usually when I learn the most about myself as well as my writing. In fact, instead of falling into the competition trap. We should focus on the gift of community and seek out other writers who enjoy the collaborating and cheering for one another—much like the Seekerville bloggers have done here and much like I do with my Golden Heart sisters. The marathon that is writing and publishing doesn’t have to be solitary. Pretty much everything I have learned about the craft and business of writing I’ve learned from communities of writers who welcomed me with open arms. So here’s my advice, run your own race, my friend. Forget competition. Set goals that work for you. Work toward them in increments, and fearlessly force yourself to take risks. Celebrate every mile marker along the way, no matter how quickly or slowly you reach it. If you’re lucky, you might learn to catch your breath and enjoy the water breaks at the end of each chapter. If you’re really good, you’ll learn to savor the bananas and bagels at the finish and to celebrate your peers too. So fire up that laptop and let me hear those words hitting the page, like a fresh pair of running shoes on the road to success. Missy again: I have loved McCall's books, so be sure to check out her newest release! Let's chat today about charting your path to success and moving along one step at a time. Seventeen-year-old Sophie wants to keep her fractured family together. She's all about sticking to a plan--keeping the family business running, saving money for college, and making sure her mom and sister don't endure another tragedy. Then a hurricane forms off the coast of the Outer Banks, and Sophie realizes nature is the one thing she can't control. To make matters worse, she's stranded in the middle of the storm with Finn, the boy who broke her heart freshman year. Click here to view visit McCall's website so you can find the book on the different book seller sites! Click here to visit the new release on Amazon. McCall Hoyle writes young adult novels about friendship, first love, and girls finding the strength to overcome great challenges. 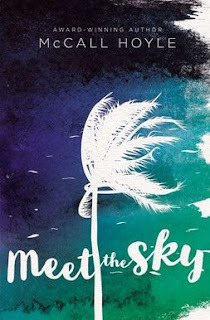 Her second novel, Meet the Sky, released September 4, 2018 from HarperCollins/Blink. When she’s not reading or writing, she’s spending time with her family and their odd assortment of pets. 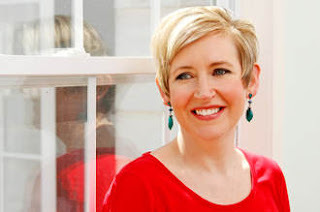 She has an English degree from Columbia College and a master’s degree from Georgia State University. She lives in a cottage in the woods in North Georgia where she reads and writes every day. Right on! Your experience with working with other writers corresponds to my own. I would further suggest that you do things soon rather than later. Don’t wait two to four years trying to write something you’d be willing to share with a writing group. The faster you find out what you’re doing wrong, the faster you’ll learn the writing craft. This especially goes for entering contests. Find out what you are doing wrong as soon as possible so you can work on it. Being with other writers is so helpful because you get to see how human they all are. I can’t forget my first writing conference with a few hundred writers. None looked like writers and I could not tell which were well published and which were beginners. Anyone could have been anyone. Success was not in appearance but in how much of the writing craft one had mastered. Write to learn. Have someone who knows more show your mistakes. Edit those mistakes and write some more. Write, improve, write improve, write to publication, write to improve your next book. Improvement comes with constant effort and competent feedback. I like your additions, Vince! McCall, this is such sound advice on all levels. Surrounding yourself with like-minded people, the people who want to share your dream is pure wisdom... and if there are dream-stealers among them, it's okay to separate yourself. It's not mean... it's self-protection in a very rugged business. But I might have been licking my wounds then, LOL! Wow, Ruthy, I don't think you've ever shared that before. You are so human! I can't even talk about the time I went over an acquisitions editor's head and screamed at his boss. Oh, wait a minute, I just did.., There's no way we can scheme, cajole, bribe or threaten our way to publication, and after a certain point we don't want to. God is in charge. Ruthy, I remember that year! Of course, I entered faithfully every year as well. Finaled one time but probably entered close to 10 times. Kathy, I bet that's a tough one to remember! The other thing, about setting your own pace. Also true. If you're a steady writer, you'll build a word bank. If you're not, your word bank will grow at a slower pace. If you're a pressure writer, that's okay, too. I know many crazy successful pressure writers and their work is beautiful! I'm a 1 to 2K/day person. It adds up over a year and it works for me, but it might not be everyone's gig. And that's all right. This isn't a competition even though it's a competitive business. It's us, we women, running our own small business and you get to run it any way you choose. God's put that power right into our hands! Go God! McCall, I agree with you about competition. Actually I agree with everything you said, but competition fought its way to the top. With the current climate of publishing, especially Christian publishing, a win for one of us is a win for all of us. A rising tide lifts all Christian fiction boats. Anything worth doing is worth keeping at. Yeah, Kathy. We should all support each other. Like McCall, I, too, have benefited from the supportive atmosphere of Georgia Romance Writers. It's the place I learned to write from authors who generously did our monthly programs and critiqued my work. Such a great group! I feel like I want to pay it forward in any way I can. McCall, such a great post. Everything you shared here resonated with me. I like how you set goals and continued to pursue them, including entering and winning the Golden Heart! We are each set in our own race. I've seen this as friends who started writing at or near the same time I did are now published. And I'm . . . not. God continues to remind me to keep my eyes set on Him, not on those around me. You've given me good things to ponder today! Your books sounds really good. May God continue to bless your writing career! Jeanne, it was tough for me to watch friends get published before I did--even though I was truly overjoyed for them. It's also been difficult for me not to compare my journey/progress to others. We just have to keep reminding ourselves that God has a plan AND perfect timing. It has helped me to focus on that through the years. McCall, that’s a beautiful quote!! Thanks for sharing it. I think for me it is keeping at it and not giving up. I face obstacles but yet I am seeing improvement. I just keep at it. Being very low income no longer able to drive, no writing groups in my area are not going to stop me. 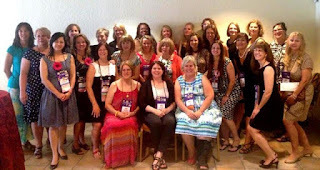 I did find a small critique group on the ACFW loop which I love. I try and write every day even when my world is spinning. Perhaps one day my dream of publishing will come true. For now my goal is too keep writing, keep working at learning the craft, and doing all I am able to do towards the ultimate goal and not worrying about the things I can't. Having a rough day with the vertigo and it will be a rough week on that front due to all the hurricanes, But this I know The Lord is faithful and good and will see me through. I shouldn't have to evacuate as I live in the mountains unless we get a lot of flooding due to all the rain. Today I have my card making class which is a fun outlet for my creativity. lunch with my friends who will then come help me with decluttering my house or at least we will begin. Hopefully tonight I will get a chance to write. Have a great day everyone. I will be praying for all in the path of these storms. Wilani, I'm so inspired by how you keep pursuing your dream! You're amazing. I hope you have a wonderful day with your friends! Wilani, I am praying for you to have a good day and a good week. I hope the vertigo gets better and that the storms don't bother you. I'm glad you have such good friends to help you out. McCall, welcome!! We're so glad to have you back with us today! Wouldn't she be a fun teacher to have? Her students are blessed! Great post, McCall. Very timely, too. I have nobody but myself to blame for my lack of forward progress lately and I need to get back on track. I do make some weekly and monthly goals, but even those aren't being followed. I was recently thinking that I need to set some longer term goals and make sure I am working toward each goal as it comes along. I have gotten off track with everything in my life the last two weeks because of being sick. It has been a long go of it but I finally feel like I am on the mend. In addition to writing, my new exercise/eating plan has suffered. I had joined a gym and worked with a personal trainer for eight sessions. I was excited to be planning better meals and working out everyday. Then I got sick and that all got derailed. So now it is time to get back on track. I will be going to my exercise class in a little while and hope that goes well today. I figure I may be a little slower than normal, but it will feel good to get back at it. Thinking today of all those affected by the coming hurricane. Sandy, it's tough to function when you're sick! I'm glad you're on the mend. Hope the class goes well today! Good for you for working to get healthier! Wonderful post. Yes, one step at a time is the only way to accomplish anything. Sometimes those steps are faster than others, but either way, you've made progress. And that's always a good thing. Especially if we're being obedient to what God has called us to do. I agree, Mindy. Progress always feels good, too. One thing about writers who keep striving... we can't be accused of being quitters. You touched a very important point in your blog, that for Christian writers this is not a competition! Sometimes we get the feeling that it is when we hear of agents and editors bombarded with manuscripts and the narrowing opportunities for publication... But that is looking at this venture from the world's perspective. We are here to learn from each other, encourage each other, and cheer for each other's successes, no matter where we are on our journey to publication. I love the idea of it being a team sport. Yeah, Jenna. Life can get chaotic after a sale! I think sometimes our runs are more like doing hurdles. Or is that just because I am building my writing career with two preschoolers underfoot? Ha! Amy, it's tough with young kids! You're doing great! Thank you, McCall! That was just the encouragement I needed today as I return to a manuscript I haven't worked on in several months. I had no idea what happened next, so I took a step back, consulted some plotting resources, went for a short walk, and the answer came to me. Thank you for the reminder that this journey isn't a solitary one and that I have to take it one step/word at a time. Carrie, I hope the story takes off now that you have direction! So much wisdom here! McCall has given so much to so many (me included!) and she knows whereof she speaks on all these things. I'd be exactly nowhere without her and the rest of my writing tribe. I've been blessed tremendously to be surrounded by selfless ladies who all lift each other up. Amy, that's so wonderful to hear how y'all support each other! Our Golden Heart community is amazing!! Congratulations with Prosecco popping for this latest release! Nan, I love how y'all are all still in touch! Yes, definitely celebrating the new release with McCall! I agree with all the commenters above, McCall- if only you knew what WE see in you and your beautiful books! And as someone who JUST finished Book 4 last night (usually takes 3-6 months to write and this took 15 months and I almost walked away from my career) I can attest that you have to take it one step-one day at a time. Patience and perseverance, my friend! Sarah, I'm so glad you finished it. Congratulations!!! I love what you said: "Sometimes, some books, some periods of life, the words are harder, the path all uphill. But we can’t forget it’s still OUR path, and to make the most of the journey whatever comes." Thanks for commenting! Writing is solitary; publishing is confusing. The very best way to get through this business is with a strong, supportive community! McCall, you are one of my writing inspirations! Thank you for the great shout out to Georgia Romance Writers. It has provided me with writing friends who are supportive and encouraging. You're so right about writing being a marathon. Just as training for a marathon requires goals so does writing. On this marathon journey, I'm thankful for people like you who are so generous with sharing their tips and knowledge about the craft of writing and for blogs like Seekerville who have created a community for people to come together. Thank you, McCall! I'm looking forward to seeing you at M&M! I look forward to seeing you both at M&M!! What a wonderful post. McCall. I've always thought that publishing must be hell for competitive people. You did a beautiful job describing how we're all on our own path. Congratulations on the new release! Julie, we're glad you stopped by! McCall, thanks for such an encouraging post! It is great to be part of a writers' group for all of the encouragement and help provided by the members. Congratulations on your latest book! Edwina, we're glad you stopped by, too! Lee-Ann, it can definitely be a hard journey. I'm glad you felt encouraged! Thanks for sharing such an encouraging post!